Among the many socio-cultural trends that have come about it is seen that Indians have decided to take health and wellness seriously. Availability and access to information has lead to a transformation in behavior and we find a majority population disciplined about gymming, working out or taking up sports and incorporating a good and healthy diet coupled with monitored medication. 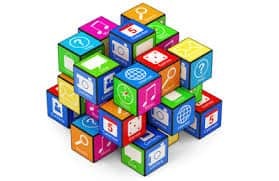 Here we have a list of popular mobile apps that have taken up the prominent place in our smart phones. PharmEasy delivers medicines to your doorstep and you can also get diagnostic tests done from the convenience of your homewithin 24 hours at no delivery cost. All orders with a valid prescription shall be serviced. Find labs and book appointments for diagnostics tests. The results will be delivered to your doorstep. Along with this PharmEasy also provides monthly refill and ensures that you don’t run out of medicines. Additionally with its medicine guide, you can check out the medicine guide to know about the uses, side effects, cheaper substitutes and more. The reminders feature ensures that you never forget to take a medicine dosage. 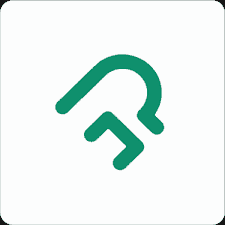 Danvanthiri is a mobile healthcare patient friendly app designed to provide the best medical resources to users. The company’s aim is to establish Danvanthiri as a one-stop-shop offering a single window access to multiple choices on premier quality and affordable healthcare services in India. Services include, end-to-end healthcare solutions on one platform, single window access to organ and blood donors, push notification for GPS enabled medical emergency, including ambulances and patient coordinators. Care24, the healthcare StartUp that aims to make healthcare available, affordable, accessible and convenient to masses as and when they require. Care 24 is a team of experts that advises the best medical approach that is perfectly in sync with with one’s requirements. With life expectancy increasing significantly in India, home health care is becoming mandatory. Be it Geriatric care, infant care, paramedics or neurological rehabilitation, home healthcare is entering into various arena of healthcare segment which can be served at home. 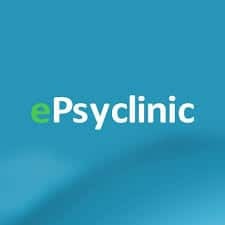 ePsyClinic.com is the country’s leading online platform that provides mental health care through world class therapies and counseling services to clients in the comfort of their homes, offices or wherever they may be. It delivers such impeccable services through the interactive modern technologies of audio, video, chat and messages. The USP of ePsyClinic lies in its fully online and convenient accessibility and its Quality focused private and safe mental health and emotional wellness services. Delivering uncompromising and unparalleled quality of care, management and treatment is what ePsyClinic specializes in. The company aims to consistently promote mental wellness services and provide customer-centric and satisfying experience to its patrons. Fitpass, India’s leading one stop solution for fitness enthusiasts, it connects consumers with the best gyms and studios around them and gives unlimited access to lakhs of fitness workouts. With the membership of fitpass, anyone can try different workouts in their suitable locations every day. Fitpass is a revolutionary monthly membership that gives you the freedom to work out when you want, where you want and how you want in just Rs 999. It has association with 1250+ gyms like Gold Gym, Snap Fitness, knock out etc which can provide more than 100000+ options with different types of workouts like yoga, dancing, gyming, aerobics, skating, Martial Arts etc. 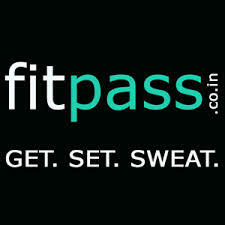 Fitpass offers the convenience & accessibility at an effective price point. 5 Apps that ensure a healthier you 0 out of 5 based on 0 ratings. 0 user reviews.